At Hallstar, we measure our success not only in financial terms, but also by how we operate in the community and environment. Our sustainability efforts focus on the environmental, social, and economic issues that help create and sustain long-term success for our communities and our planet. We are committed to reducing, and eliminating any negative environmental impact whenever possible, while benefiting the communities in which we live and work. Hallstar focuses on delivering products designed for longevity and performance, while minimizing environmental impact through process optimization and use of renewable feedstocks whenever possible. Hallstar’s commitment to sustainability and the protection of people and the environment is demonstrated through our development of phthalate-free plasticizers utilizing our expertise in polymeric ester chemistry. Hallstar recognized the inherent risks around some phthalates and the growing public concern over these chemistries, and now offers a series of polymer modifiers that can serve in a range of rubber and plastic applications. The HallGreen® product line is another example of Hallstar’s proactive exploration of sustainable chemistry. HallGreen® products are environmentally responsible polymer modifiers manufactured using renewable feedstocks for use in PLA, PHA, starch-based and other bio-polymers and hybrids as well as synthetic elastomers and PVC. These esters are USDA-certified as sourced from renewable raw material streams and/or are biodegradable according to ASTM-D6400. HallGreen® products function as process aids as well as polymer and impact modifiers. They improve processing by reducing melt viscosity/temperature, energy consumption and brittleness. They improve impact resistance and extruder flow rates and throughputs, lengthening the product lifespan. Select products in this line have FDA and/or REACH acceptances. In addition to our HallGreen® products, Hallstar offers a wide gradient of environmentally- sensitive, renewably-sourced biodegradable monomerics and polymerics (likely the only 100% renewable and biodegradable polymerics on the market), as well as synthetically-sourced but still biodegradable polymerics. 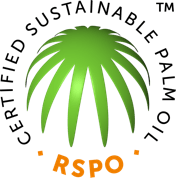 We are one of the first cosmetic ingredient suppliers to offer certified sustainable, palm-based (RSPO®) derivatives to its customers. Our Active Naturals line of beauty products known as Oléoactif is an outstanding example of both sustainable operations and 100% natural, Ecocert-certified organic ingredients. These fine skincare actives come from completely natural sources without using harsh chemical techniques. Our colleagues in Hallstar France and their patented Oléo-éco-extraction methodology cryogenically grinding up various fruits and flowers and then, through microwave and ultrasound, extracted those unique and helpful actives into an oil-based serum that has no residual solvents. In addition, we offer a line of products that contain up to 100% natural content including our Olivem® brand of biomimetic emulsifiers and Biochemica® oils and butters, as well as some of our Florasolvs® line of water-soluble emollients and surfactants. In addition to developing green chemistries, Hallstar utilizes sustainable practices and is committed to environmental stewardship, safety, health, and social responsibility. We aim for the highest level of carbon footprint reduction, investments in renewable energy, reducing, reselling and responsibly disposing of our waste, and engaging with our teammates to maximize their collective impact on how we operate. 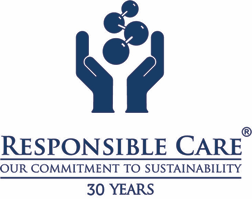 Our business has aligned its operations in accordance with the UN Global Compact (UNCG) and the American Chemistry Council’s Responsible Care® Management System. 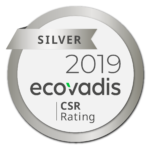 In March 2019, Hallstar was proud to be awarded a Silver Prize from EcoVadis for our Corporate Social Responsibility practices across all of our global locations. To power Hallstar’s 60,000 square foot manufacturing plant in Bedford Park, Illinois, we solely use renewable Green-e Energy certified renewable energy certificates sources from wind generation. To minimize the potential environmental impact or burden from our raw materials, Hallstar’s Procurement team employs various strategies based on each raw material. Factors that affect strategy include: ease of handling of material (e.g., state of matter, viscosity, hazards), stability/shelf life and inventory/turnover needs. Ultimately Hallstar employs strategies that will yield the lowest risk. Hallstar lives by our motto “together, we can work wonders,” and we know that even a few small changes can make a big difference for our planet. Our commitment to sustainability is a continuous process and we will continue to drive towards the achievement of our goals so that we may preserve our quality of life for present and future generations.